Fortaleza Air Taxi, Flights to Jericoacoara. If you don't want to lose any time on the beach. There is Fortaleza Air Taxi Service to Jericoacoara and Canoa Quebrada by private plane and helicopter. You can be in Jericocoara in less than 60 minutes! Traveling by helicopter at an altitude of 150 meters along 300 kilometers, almost 200 miles of South America's most spectacular beaches. It doesn't get much better than that! 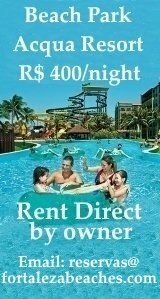 throughout the State of Ceara by Helicopter or Private Plane from Fortaleza . To catch a connecting flight, Fortaleza Air Taxi Service operates out of what is called the Old Airport just across the runway from Pinto Martin International Airport. 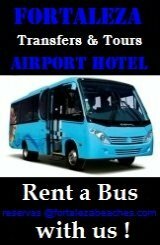 There is no airport shuttle service to the Old Airport. 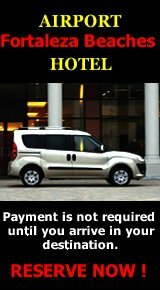 Your best choice would be a short taxi ride around the perimeter of the Airport. at Pinto Martins International Airport. If you are considering using Air Taxi Services in the near future make sure to bookmark this page for updates and contact info! There are no scheduled flights from the old airport to Jericoacoara, Canoa Quebrada or anywhere else. or in July and August. 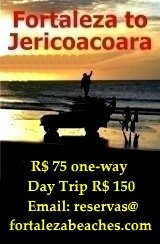 Flights to Jericoacoara and other destinations throughout the State of Ceara.